AndrewGilmore.net: Are You Making this Rookie Mistake in Your Walk with God? Are You Making this Rookie Mistake in Your Walk with God? “Come on buddy. Just jump.” I said. But I could see the tears begin to well up in his eyes. A few minutes earlier he had been my fearless son. Now he was quivering and crying. We stood on a suspension bridge seventy-five feet above Lake Taneycomo; harnessed, latched, and carabinered. 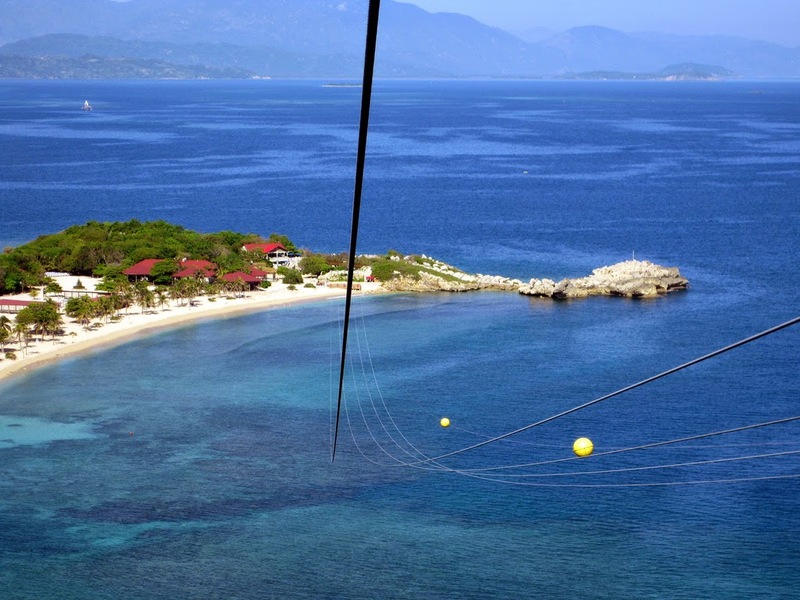 Only an act of the Almighty would have made the zip line unsafe. But as much as I tried to explain, it had no effect. The paralyzing height rendered my words powerless. How had he gone from ready to take on the world to shaking in his harness? He looked down. He realized the potential gravitational energy before him. I love the book of Deuteronomy because of its memoiresque quality. Yes, in a way, it’s a rehash of the the first four books, but you also get some editorial insights you don’t get the first go around. But instead of taking up possession of the land, they did something else. The Israelites looked down. They hesitated. They saw the possibility (if it were even a possibility) that they might be defeated when they saw the large men and fortified cities before them. When walking with God, it’s so easy to fall into this pit. A couple of years ago a sermon challenged me to invite someone to church. Right there in the service, I pictured this man’s face. There was no doubt in my mind who God wanted me to invite. He needed Jesus. And I had Jesus. So right after church that Sunday I picked up the phone and called him, right? No, I hesitated. I looked down. Rookie mistake. It was January, and I was plotting a course to invite him for Easter. Easter! Three months after the fact. But at lunch that week, I felt the Spirit prompting me again. I picked up the phone. I dialed his number despite my trembling. Just like the zip line, there was no risk on my part. The worst case scenario? He’d get offended and shout at me or something. But here’s the bottom line. 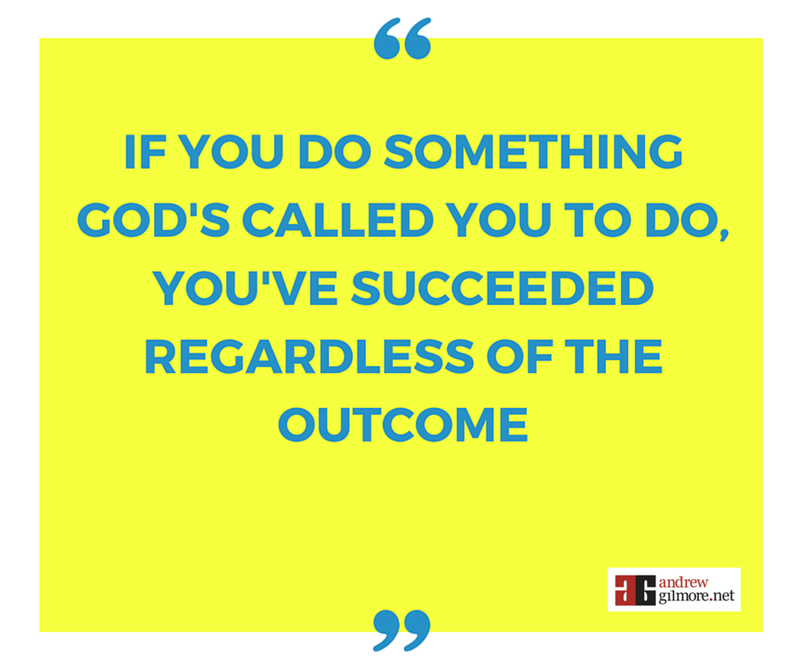 If God’s called you to do something, and you do it, then you’ve succeeded regardless of the outcome. I wonder what would have happened if at the command of Moses to take of the land, they would have just done it. There would have been no wandering, and Moses would have been privileged to see it. But they made the classic mistake of hesitating, of deliberating, and allowed fear to creep in. 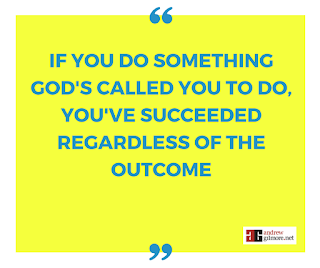 So when God tells you to do something, don’t make the mistake that I did. Don’t look down; just do it trusting that God will take care of the rest. Sign up for exclusive content right here. I send out a monthly article that I don't publish anywhere else! Click here to join the club.